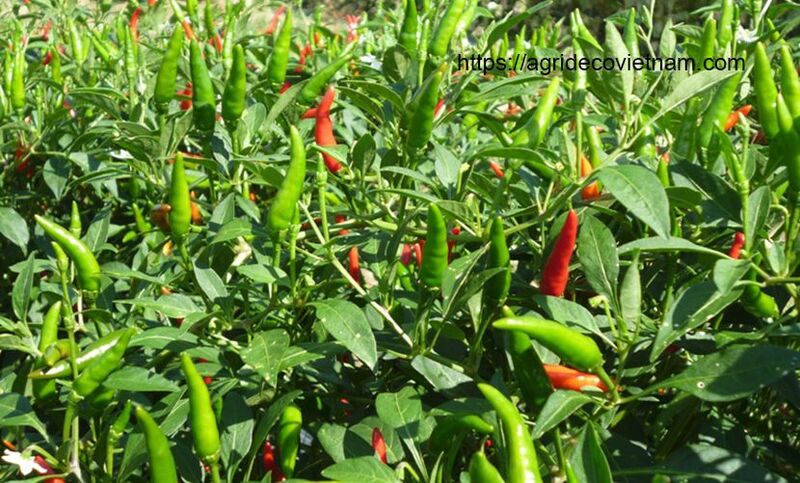 Thai Binh: Local growers disappointed with small chilli - Agrideco Vietnam Co., Ltd. While localities are planting vegetables in winter crops, farmers in Quynh Phu district are harvesting small chilli. However, the happiness is not complete due to low quantity and decreasing price. As a high-income tree, small chilli area in Quynh Phu has been maintained more than 1,000 hectares for many years. In this winter crop, the district planted 1,100 hectares of red chilli, occupying the majority of the whole province. Two-rice and one-chilli combination has been applied here to yield the high economic efficiency for local farmers. These days, through the communes of An Quy, Quynh Hoi, Quynh Minh … farmers are gathering small chilli for the early winter crop. However, according to farmers here, due to bad weather influence, harvesting chilli began later than previous years. A farmer said: “My family planted 2 sao (360 m2/sao) of small chilli, down 2 sao compared to last winter crop. We planted chilli seeds in the middle of July. The first storm came when chilli was in the growth stage. Thus, the storm made a part of the dead area, my family had to grow several times again”. “Not only that, the harsh weather with sunny days followed by a long rain caused small chili to be yellowed and burned. Therefore, I have to spray the insect many times, resulting in high production costs”, she explained. According to another farmer, his family has invested nearly VND 5,000,000 for 2 sao of small chilli. He said: “This year, planting small chilli more difficult than previous years. During period from seeding to harvesting, we had to prevent natural disasters and diseases, which caused our farmers to worry. The first storm made a half of small chilli die. As a result, we should buy seeds and cultivate again”. He also explained “Unpredictable weather also caused diseases on small chilli. On average, we had to spray insecticides on every three days. Not only the cost of production increased, the productivity was lower than previous years”. Coming Quynh Hoi, the largest commune of chilli in the district on the harvesting day, we feel sad atmosphere here. The stories of the farmers only revolves around the price of the day-by-day price change of chilli. Not only low prices, local growers also suffered losses due to the negative impact of storms. 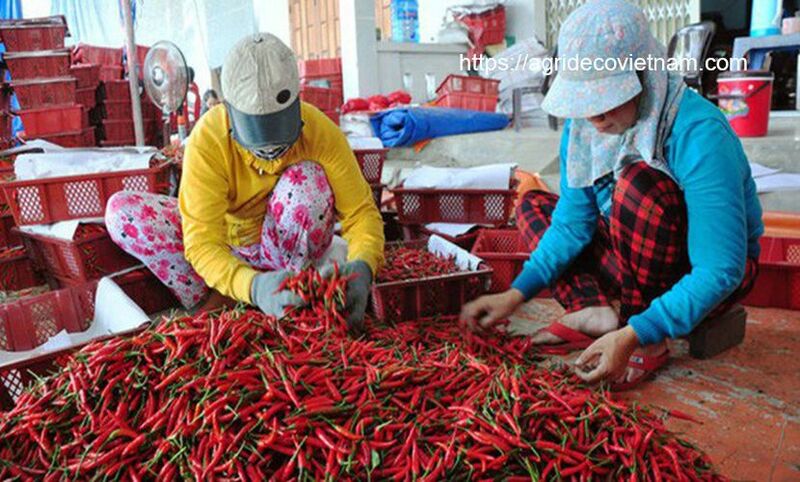 According to a governor, each year Quynh Hoi maintains around 130 hectares of small chilli. However, this year due to the impact of weather and unstable price, people switched to other vegetables. As a result, the chilli area currently remains around 90 hectares. In addition, the output this year decreased by 40% compared last year, reached 250kg/sao. However, the most anxious problem here is the unstable output price of small chilli. The current price is low, at VND 10,000/kg, accounting for a half of last year. The investment costs are higher than output price causes farmers losses. Therefore, many farmers switched to planting other vegetables, such as fresh cabbage, cauliflower or broccoli. One of the reason of this problem is the unsustainable cooperation between farmers and enterprises. In the previous years, when the price increased, farmers terminated the contract with enterprises and sold outside for higher price. Therefore, no export enterprises guarantee to buy small chilli for farmers this year, causing the lower price. 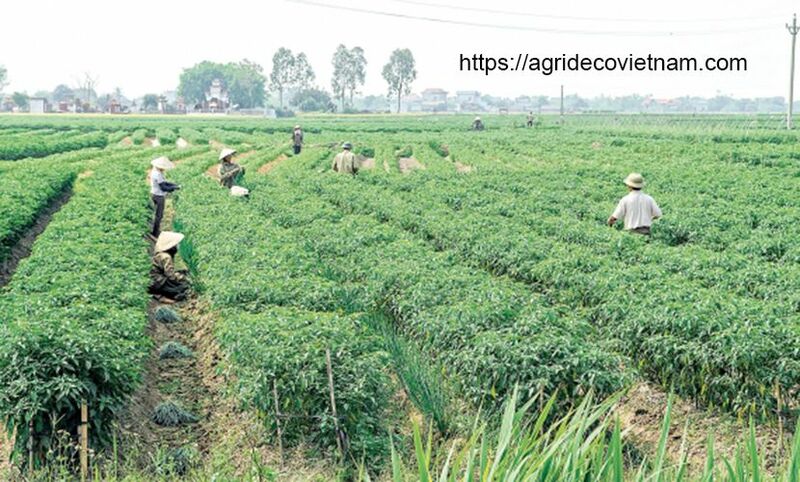 To stabilize the output price, it is farmers who should change their mind of production and cooperation.